Located in the heart of Los Angeles' west side, West Los Angeles offers a wealth of dining, shopping, and nightlife options to choose from. At Decron, you'll find four unique apartment communities in this neighborhood. Contact us for a tour of a studio, 1, or 2 bedroom West Los Angeles apartment! Ideal for UCLA students and staff, this Westwood apartment offers a prime and lively location. 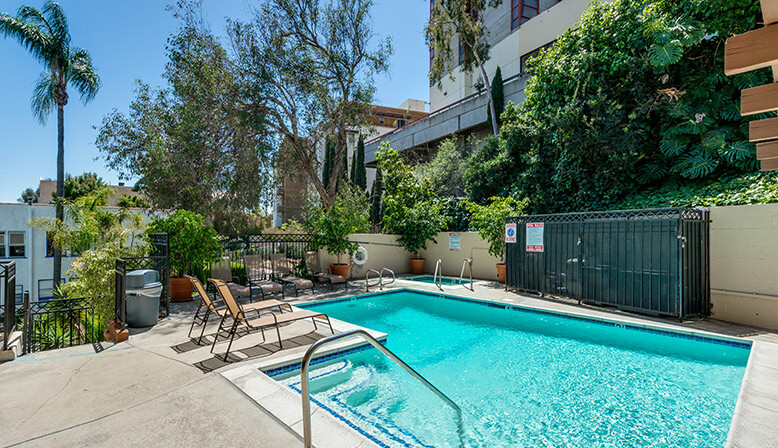 Premier West Los Angeles apartments with spacious floor plans and a fantastic location. 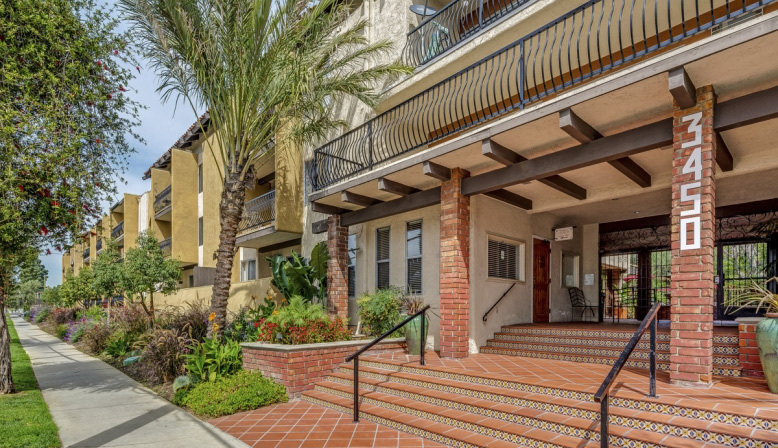 These Mediterranean-style apartments offer a standout quality living experience in West Los Angeles. Beautiful Los Angeles apartments with tennis courts, billiards, table tennis, and a pool. Whether you’re a student looking for anything from a studio to a 1 or 2 bedroom West Los Angeles apartment, or you’re just looking to find a great place to live near the Westwood area, Decron has an array of fantastic apartment communities to choose from. 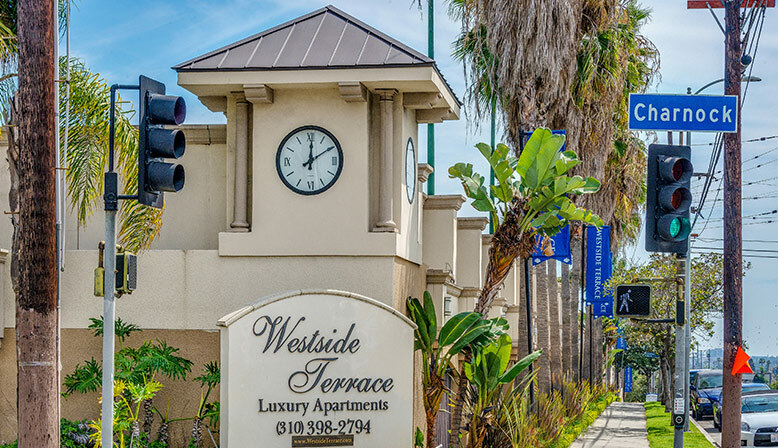 Known locally as the “Westside” and just a stone’s throw from popular areas like Westwood, Beverly Hills, Culver City, and Mar Vista, West Los Angeles is a bustling hub of activity. With easy access to the 405 and 10 Freeways, commuting or just heading out to explore another part of Los Angeles is a snap. Families looking to find a 2 bedroom West Los Angeles apartment and call West Los Angeles their home will discover several fantastic public and private schools for their children, including YULA, the Yeshiva University High School of Los Angeles, which is a beneficiary of Decron’s annual golf tournament fundraiser. In the area, you’ll also find one of LA’s greatest attractions at The Getty Center, a world renowned museum featuring incredible exhibits, expansive gardens, and a historical permanent collection, as well as stunning modern architecture and a breathtaking view of the city from its hilltop perch in the Santa Monica Mountains. Other nearby highlights include the UCLA campus in Westwood, and the star studded arts and film culture the area’s known for. Decron offers multiple communities to choose from in the area, with studios, and 1 or 2 bedroom West Los Angeles apartments. Ariel Court is perfect for UCLA students, due to its prime location which is practically right on campus. 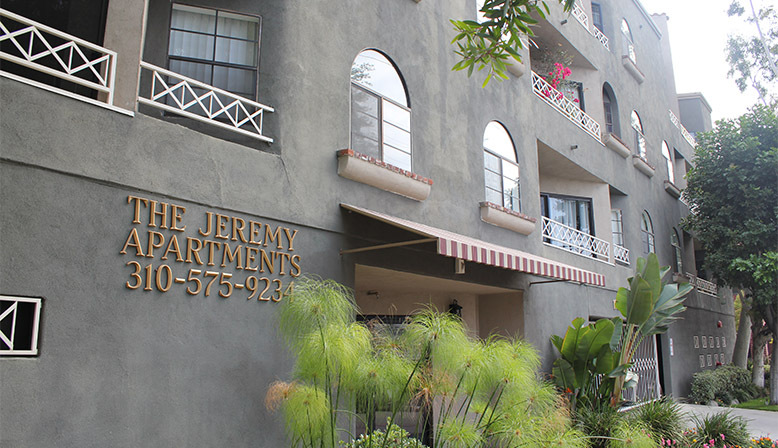 The Jeremy features spacious apartment floor plans, and a vibrant location in the Sawtelle neighborhood, which is known as a pan-Asian cultural and culinary hub. The Palms, as its name suggests, features beautiful Spanish Mediterranean-style architecture, right along Sawtelle Boulevard. You’ll also want to check out the Westside Terrace, which is ideal for tennis fans, thanks to its three courts, and its expansive pool that you won’t be able to resist taking a dip in following a long match. At Decron, you’ll also find top notch amenities like contemporary granite countertops and modern stainless steel appliances, as well shared facilities like fitness centers and clubhouses. To learn more about one of these fantastic apartment communities, just click on any property, or give us a call – we’d love to take you on a tour!